Redox Reactions Class 11 Notes aims at increasing the self-confidence of the students by offering a simple way prepare for the chapter. 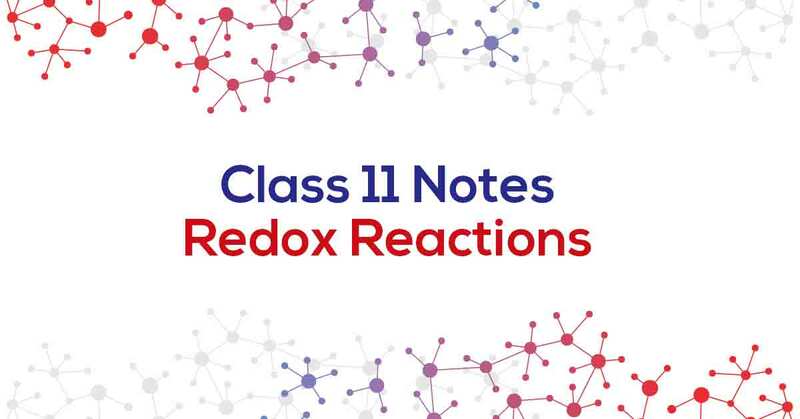 Redox Reactions Class 11 Notes help the students with the summary of the chapter, important points to remember and detailed explanation of important concepts and derivations for better understanding. Oxidation is defined as the addition of oxygen/electronegative element to a substance or removal of hydrogen/ electropositive element from a substance. Reduction is defined as the removal of oxygen/electronegative element from a substance or addition of hydrogen or electropositive element to a substance. Know more about the same in Redox Reactions Class 11 Notes pdf.